The increasing violence and lack of discipline has made it difficult for schools to introduce moral education. Do you think the present generation is to be blamed? No, children alone cannot be blamed for this. The main reason for this is the overexposure to media, lack of emotional strength, overambitious nature of the students, peer pressure and deterrence. Schools nowadays looking at the tough competition pay more focus on academic performance. 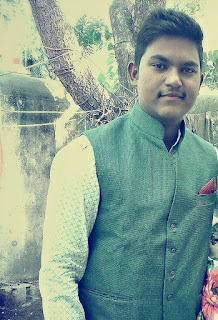 SP: My name is Shinu Philip. 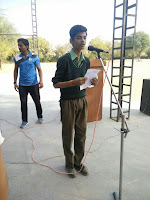 SP:: My batch mates were Rishiraj Singh Champawat, Krishnapal Singh, Bhavesh Soni, Lokhraj Sandhu etc. SP: School helped me form my foundation, I still remember those days when I was in school and I used to do mischief. and not pay attention to studies. .
SP: Yes, I would urge juniors to focus on their studies as well as other activities and not to take studies lightly. The importance of studies I realize now, so work hard and achieve success. Tuesday, 27th February: Mr. Ajay Vijaywargi escorted by Ms. Ishu Chouhan visited The Sanskar Public School, Koselav for LFIN Bali Chapter. 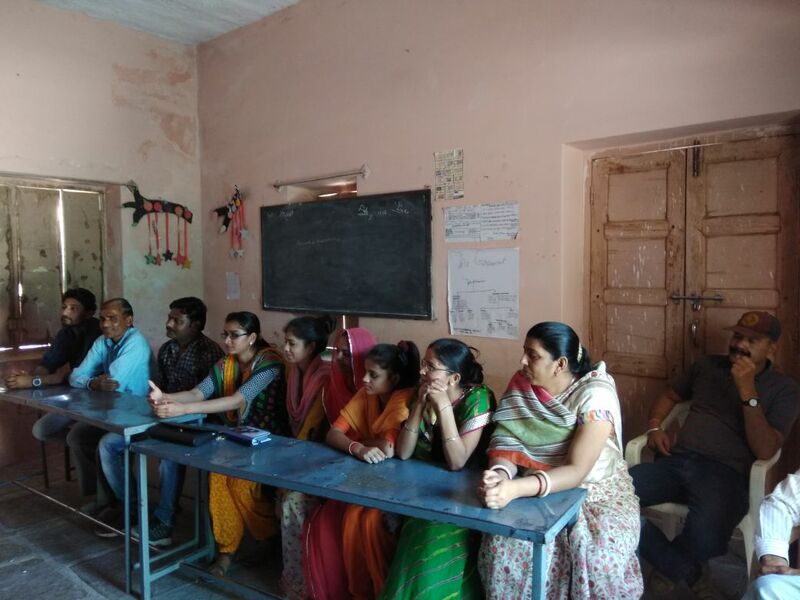 They conducted My Good School Program and showed a presentation to and how it worked in the school They got a positive response from their side and the first meeting was fruitful and intellectual. 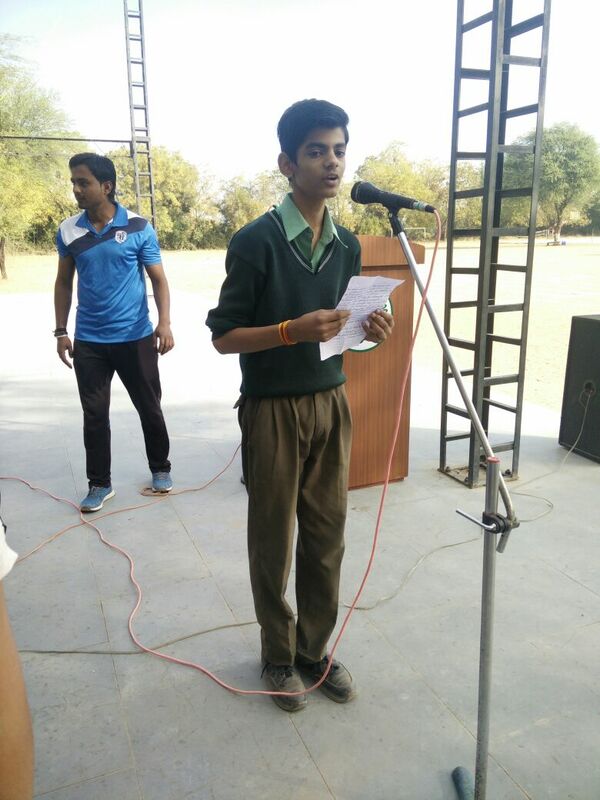 Wednesday, 28th February: National Science Day was celebrated in the school. 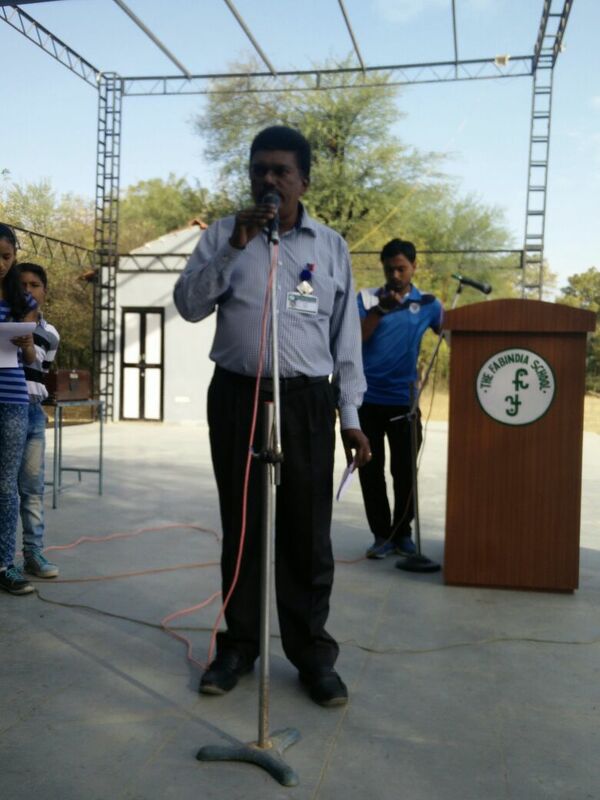 On the occasion of National Science Day a Special Assembly was held. Mr. Byju Joseph/HOD Science told us the importance of National Science Day and why it is it celebrated. National Science Day is celebrated in India on 28th February each year to mark the discovery of the Raman effect by Indian physicist Sir Chandrashekhara Venkata Raman on 28th February 1928. In 1986, the NCSTC asked the Government of India to designate February 28th as National Science Day. The event is now celebrated all over the country in schools, colleges, universities and other academic, scientific, technical, medical and research institutions. On the occasion of the first NSD (National Science Day)(28 February 1987) NCSTC announced institution of the National Science Popularization awards for recognizing outstanding efforts in the area of science communication and popularization. National science day is celebrated every year on 28th February. The celebration also includes public speeches, radio-TV talk shows, science movies, science exhibitions based on themes and concepts, watching the night sky, live projects, research demonstration, debates, quiz competitions, lectures, science model exhibitions and many more activities. 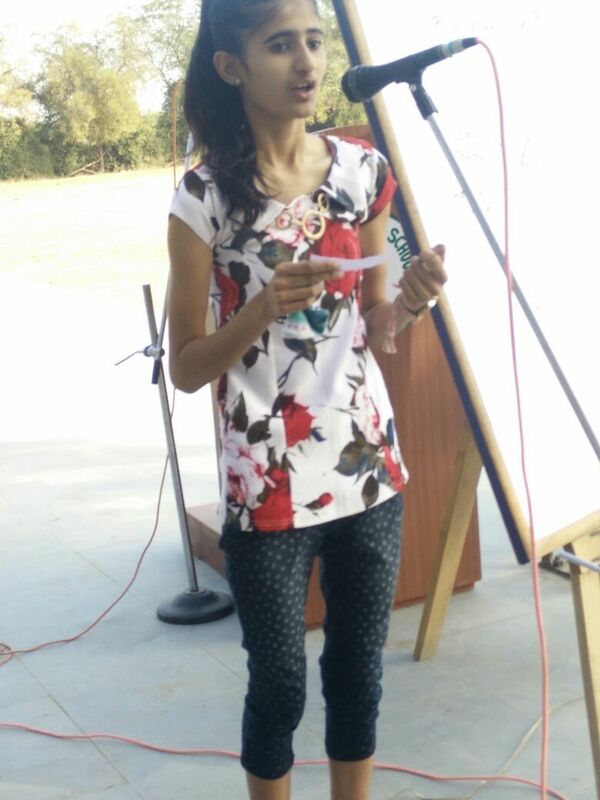 Kritika Rajpurohit/VII/RH: Spoke on celebration of National Science Day. 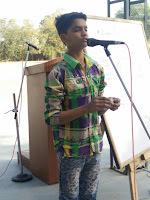 Priyanka Deora/VII/RH: Spoke on where it is celebrated. 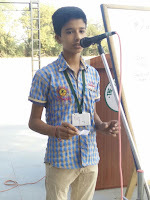 Jatin Tripash/VII/ GH: Spoke about importance of National Science Day. Kunal/VII/ TH: Spoke about Raman Effect. Lisha soni/VI/GH: Quizzed the Assembly. 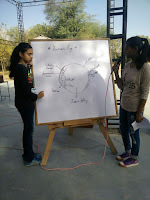 Meenakshi choudhary/VIII/ TH: Spoke about human body facts. 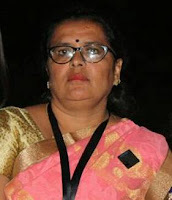 Vinita Sirvi/VIII/ GH: Information about Voyager 1 and Voyager 2. 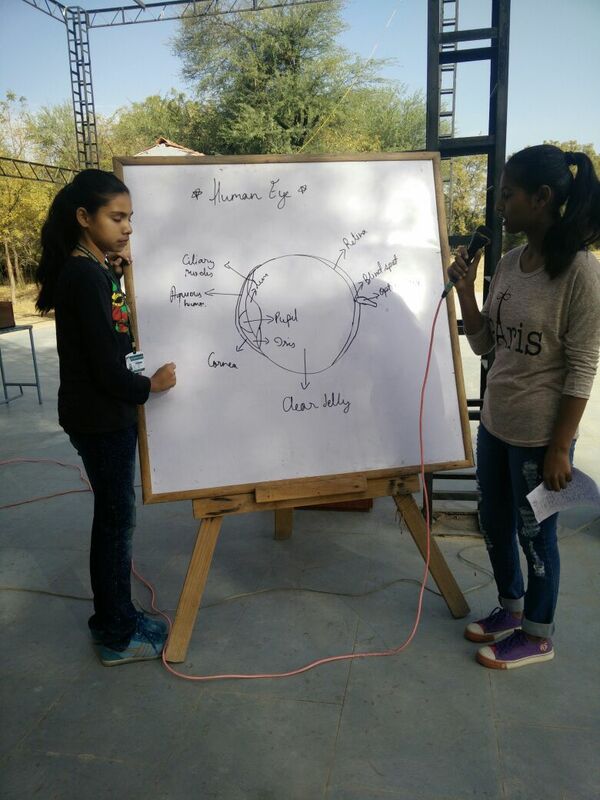 Vinita Sirvi/VIII/ GH : Spoke about Human Eye. 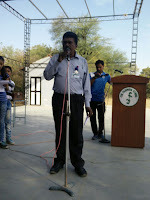 Ipshita Rathore/ VIII A/ RH: Spoke about lightning conductor. 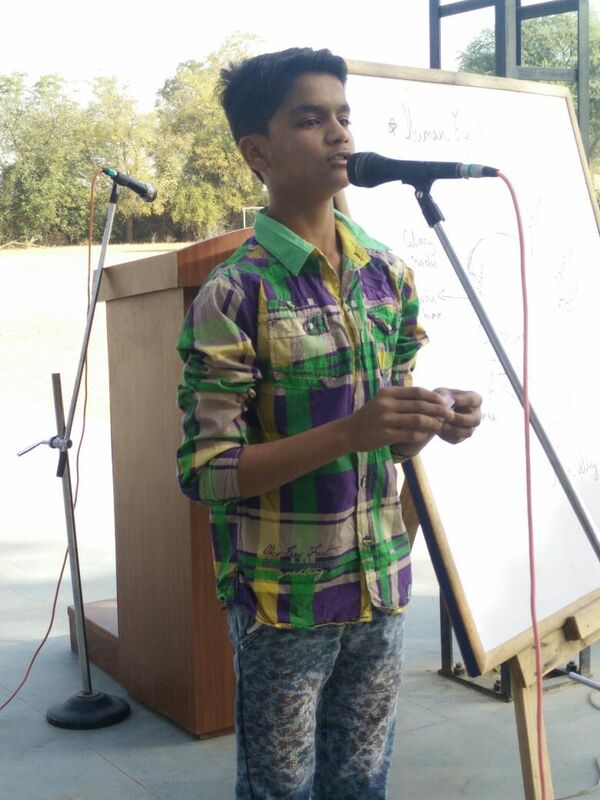 Riya Vaishnav/VI/DH: Spoke about animal facts. Charu Vaishav and Khush Rajpurohit Quizzed the Assembly. Wednesday, 28th February: PTM was held for Class IX and XI who completed their finals. Around 90% of Parents came to receive their wards results. 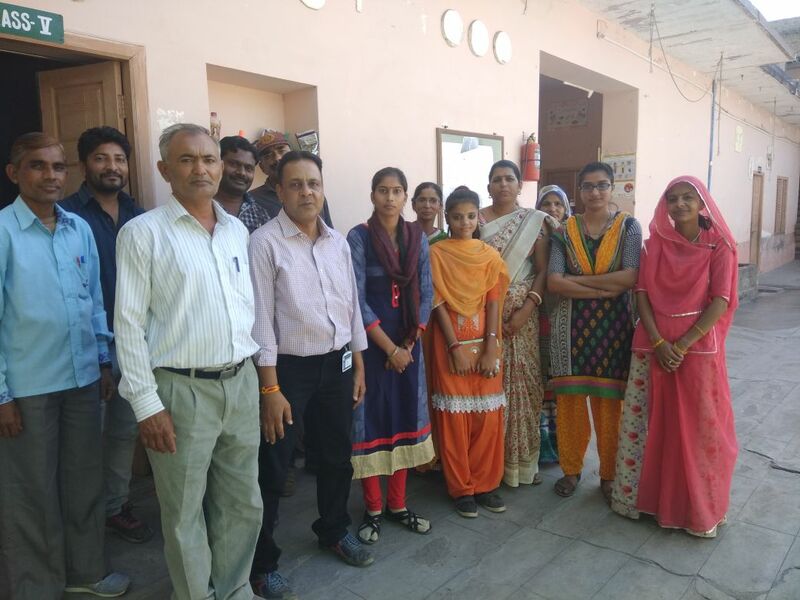 Students who had scored good results were happy. Their session begins from 5th March'18. 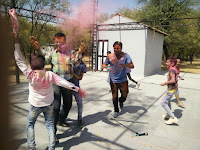 Wednesday, 28th February: On the occasion of Holi the School celebrated Holi in the school campus. 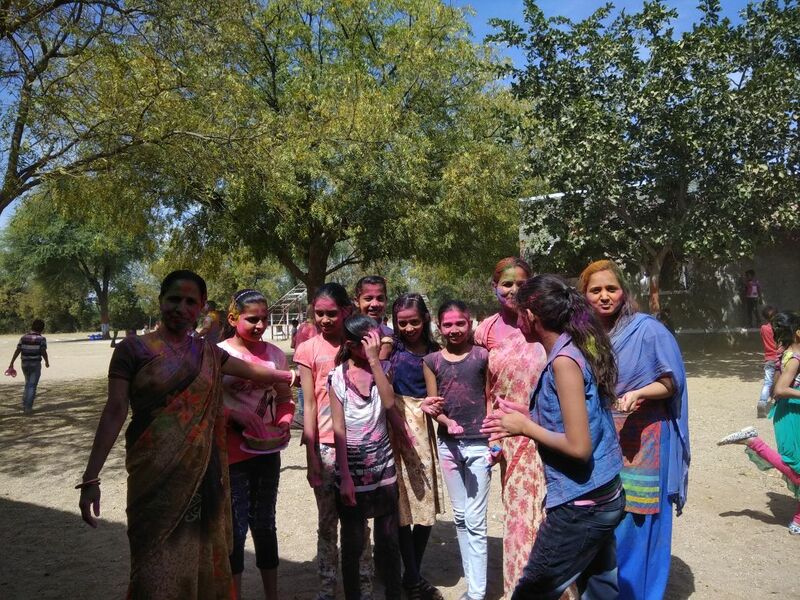 The students came in their casual dresses and brought colours with them. 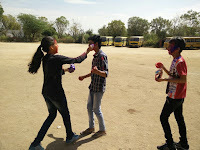 Once the celebration started the students sprayed colours both on their friends and teachers.The entire celebration went for one hour and all of us enjoyed it a lot. Even music was also played and the students along with their teachers danced on various songs. As it is known by all that Holi is the only festival for which majority of the kids eagerly wait for its arrival. 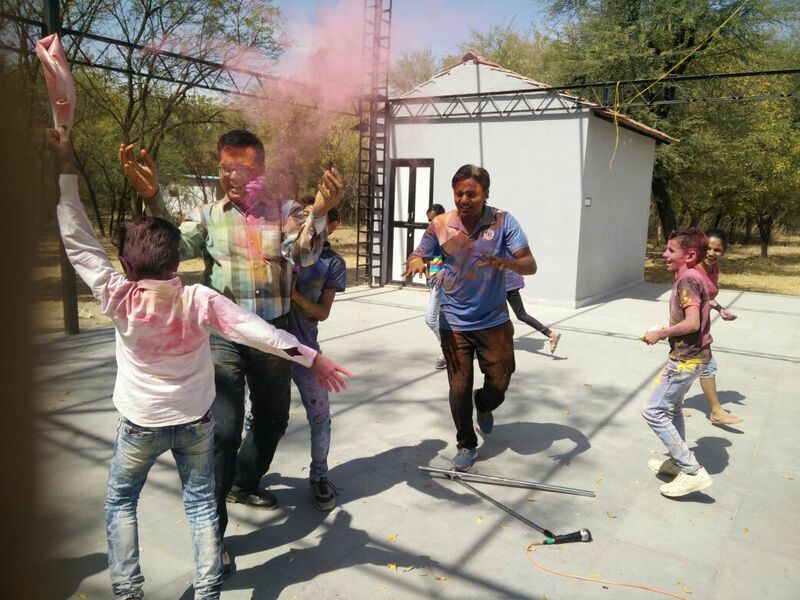 On the auspicious occasion of the Holi festival we kids enjoy a lot on spraying colour and colourful water on friends, nearer relatives and family members. 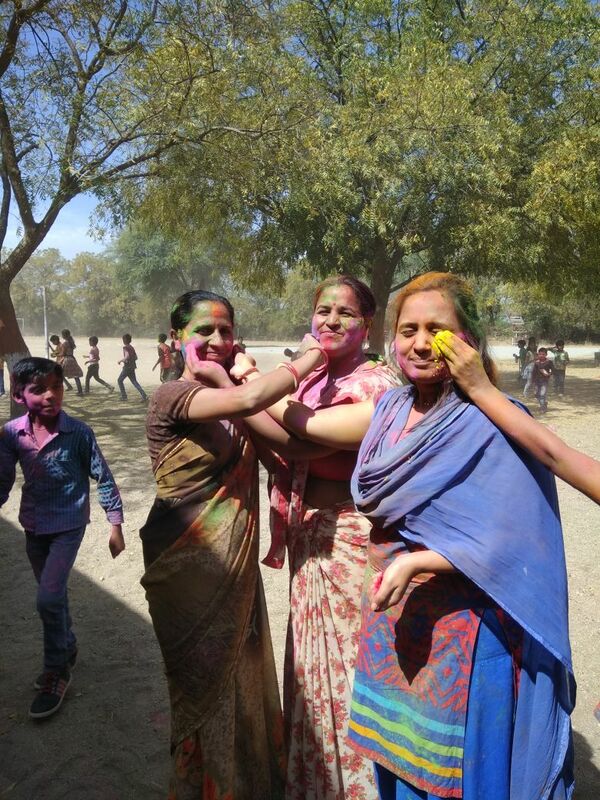 This year the Holi festival brought a double delight for me as I celebrated the festival twice, one day at school with friends and my teachers and another day at home with my family and neighbours. even took safety precautions of applying oil on my face and hair. All of my friends too came in formal dresses and the celebration was arranged in the school. 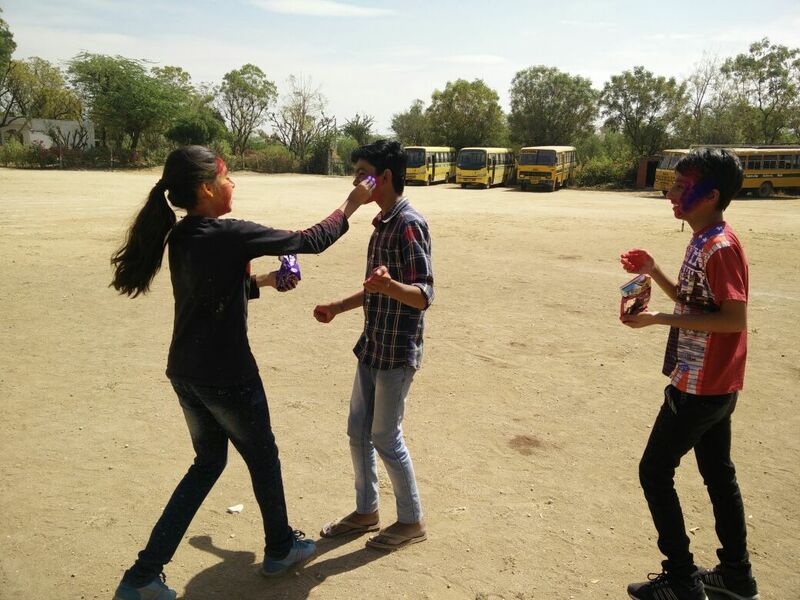 We were accompanied with our class teachers and once the celebration started we kids sprayed colours on one another. We even sprinkled colours on our teachers as they too joined us in the celebration. The entire celebration went for one hour and all of us enjoyed it a lot. Even music was also played and we danced on various songs. We family members and neighbours had already decided to save water and celebrated the festival in a eco-friendly way, hence on the auspicious day of Holi festival we avoided the usage of water and harmful chemical based colours. I sprayed colours on my family members even neighbouring friends. Relatives too visited us and played Holi by spraying colours. I even followed the safety precautions by applying oil on face and hairs and even avoided the spray of colour in eyes and mouth. 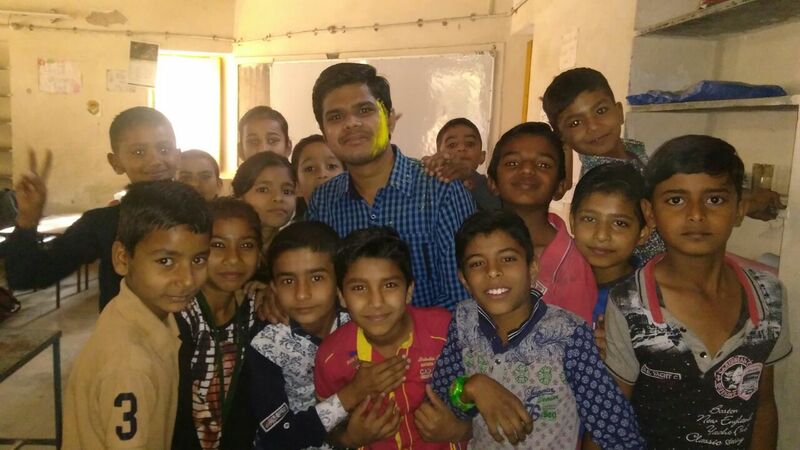 Even though I got double enjoyment on celebrating the Holi festival at school and home but has taken the pledge of saving water which is most precious resources for humans.